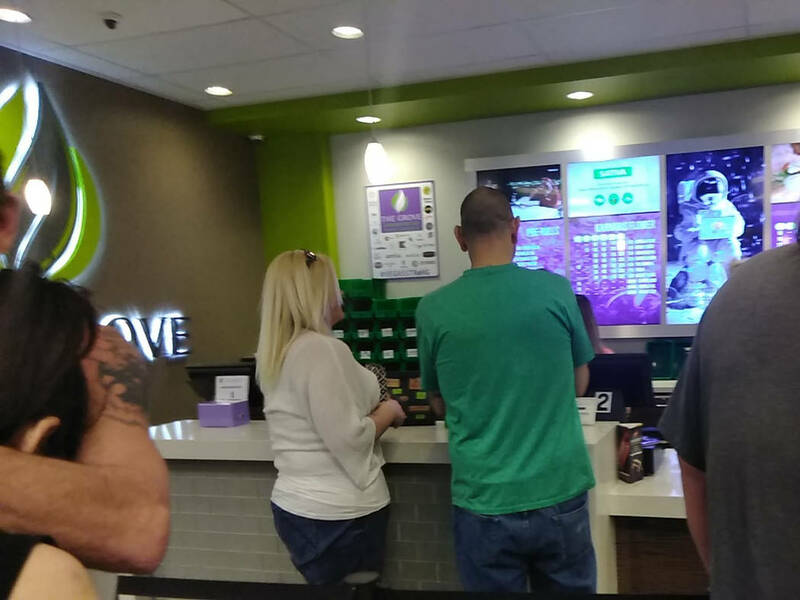 Selwyn Harris/Pahrump Valley Times There was a steady flow of customers throughout the day as officials with the Grove dispensary hosted a third anniversary, all-day celebration on Saturday March 16. The event offered attendees raffles, food, music and specials on numerous products throughout the store. 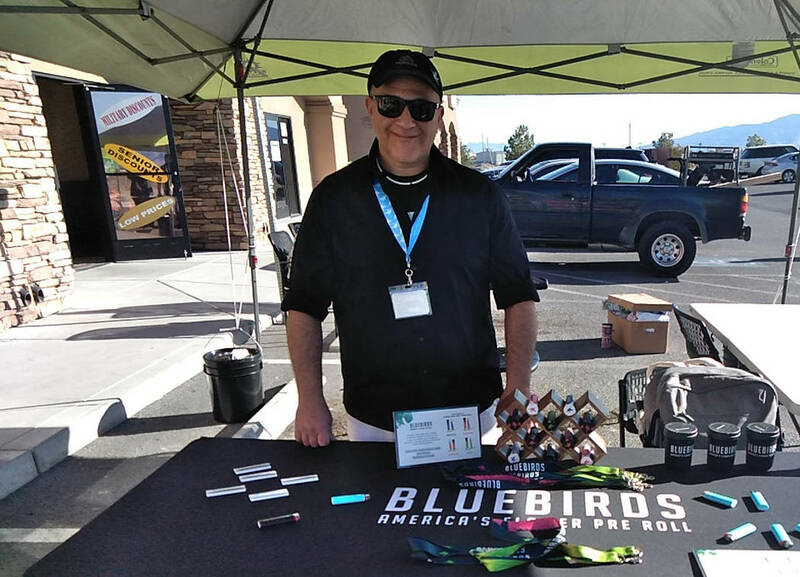 Selwyn Harris/Pahrump Valley Times Todd Lenett, a brand ambassador for Deep Roots Harvest out of Mesquite, Nv., was offering pre-rolled marijuana joints, dubbed “Bluebirds” at his booth. Lenett was one of several out of town vendors at the anniversary celebration, which drew in hundreds of customers and visitors alike. Those are the words of Grove Manager Zachary Wright, who hosted the marijuana dispensary’s third-anniversary celebration on Saturday, March 16. The event, Wright noted, included food, raffles, giveaways and several out-of-town vendors. Among those customers, surprisingly, or not, were area seniors, wanting to learn more about the benefits of marijuana. Regarding his younger customers, Wright noted that many tend to seek out alternative marijuana-infused products, rather than the traditional flowers to smoke. One thing that the younger and older users of marijuana have in common is the price and quality of the product. Wright said all are always looking for ways to save money on their purchases. Wright also spoke about how marijuana is slowly, but surely, becoming mainstream across the country. He actually made a prediction about which state will likely legalize the use of recreational marijuana. Though the majority of his customers are local residents, Wright said he’s had the pleasure to meet people from all around the globe at the Grove. After three years of doing business in the valley, Wright said there have been a few changes for customers to expedite their respective transactions. Among the many vendors at the anniversary celebration was Todd Lenett, a brand ambassador for Deep Roots Harvest. Lenett was offering pre-rolled marijuana joints, dubbed “Bluebirds” at his booth. Wright, meanwhile, said he plans to host several community outreach and customer appreciation events.